Melt your white chocolate chips in the microwave at 50% power in 15 second intervals, stirring with a completely dry utensil. Do not let water come into contact with the chocolate or it will seize. Stir and heat until the chocolate is smooth and melted. 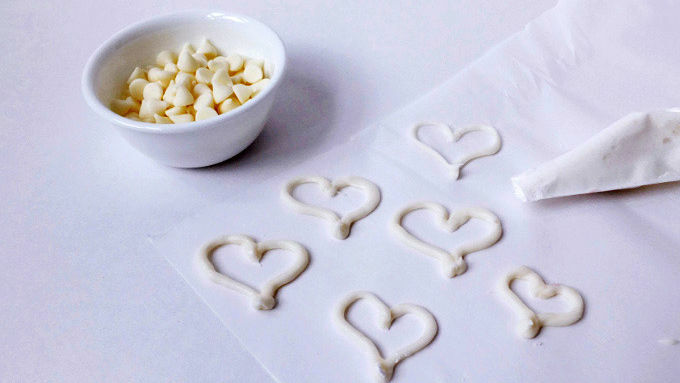 Place the white chocolate into a piping back or a plastic zipper bag and snip off a small corner of the bag. Pipe out 4 heart shapes onto parchment or wax paper. Let dry completely. Place the mini parfait glass upside down into a small dish with the honey. Make sure the rim of the glass is coated. 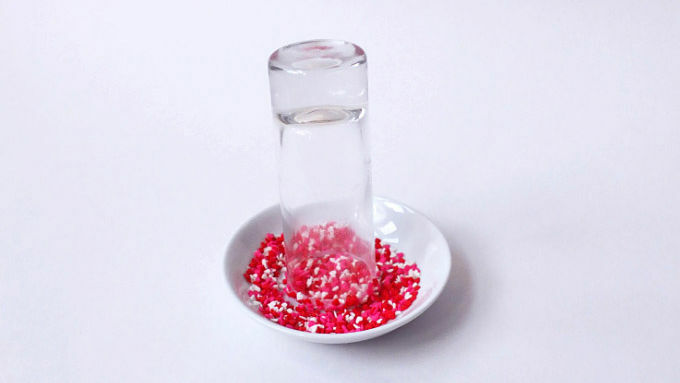 Immediately dip the honey-coated glass rim into a small dish filled with the mini heart sprinkles. 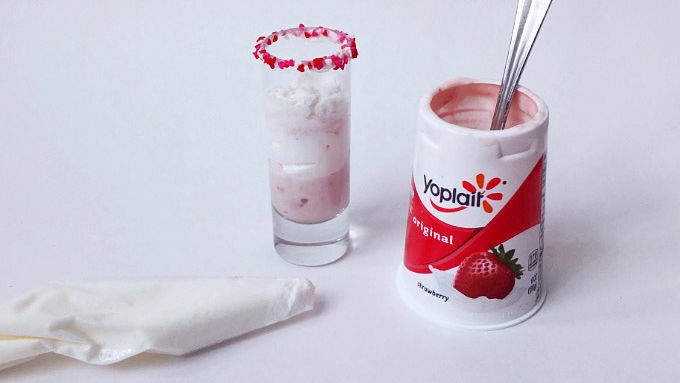 Carefully spoon a small amount of the strawberry yogurt into the mini parfait glass. Do the same with the frozen whipped topping, alternating layers until you end with the frozen whipped topping. Top your parfait with a white chocolate heart. Placing the yogurt and frozen whipped topping into separate piping bags may be easier to use than a spoon for filling the mini parfait glasses. These creamy, strawberry yogurt parfaits are a cute way to say Happy Valentine's Day! You’ll just fall in love with how easy these are to make. Valentine’s Day is the sweetest day of the year, but my husband and I are still trying to hang onto our New Year’s resolutions of eating healthy and not indulging in too many desserts. So I came up with this light and refreshing treat that’s kinda sweet and super cute! It’s also great for a breakfast treat and an extra fun way to send off the kids to school. 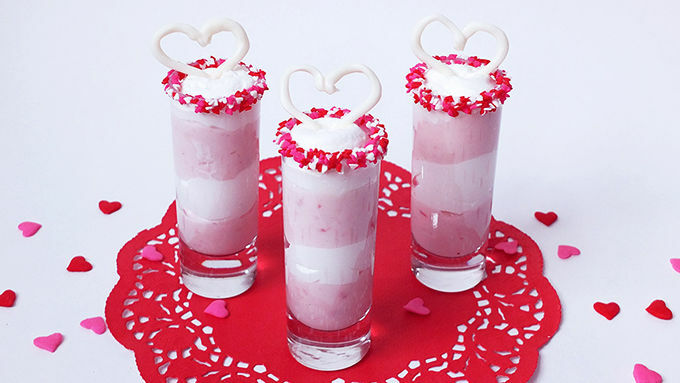 So, this Valentine's Day make the most adorable little Valentine treat for your sweetie!